When World War I broke out, one of John George Kenmir’s sons, young Frederick went off to fight for his country, as did a lot of young men and women, both from Spennymoor and elsewhere. Frederick, 23, became a sapper in the Royal Marines, and history records that he was killed in action on 15th January, 1917. He now lies in a hero’s grave in the War Graves cemetery in Aveluy, France along with many comrades – hero’s every one. Aveluy village was held by Commonwealth forces from July 1915 until 26 March 1918. The extension to the communal cemetery, begun by the French who held this part of the line previously, was continued by our units and field ambulances from August 1915 to March 1917. In the latter month the 3rd and 9th Casualty Clearing Stations began to use it, the 9th remaining until November 1917. On 26-27 March 1918, the village and the cemetery were lost during the German advance but were retaken by allied forces at the end of August. Aveluy Communal Cemetery Extension contains 613 burials and commemorations of the First World War. Twenty-six of the burials are unidentified, and three graves, the exact locations of which could not be found, are represented by special memorials. The extension to the cemetery was designed by Sir Reginald Theodore Blomfield, who is famed as the designer of Regent Street, London (1920s), The Headrow, Leeds (from about 1929) and the Menin Gate Memorial in Ypres, Flanders. In 1913 he was awarded the Gold Medal of the Royal Institute of British Architects, and was elected to the Royal Academy the following year. Before his enlistment Frederick had worked in the family business as a cabinet maker, ‘learning the ropes’ in readiness for the day when he would become a director of the company along with his brothers. Sadly it was a day that he was fated never to see. John George and his wife Margaret were plunged into deep mourning,as were many others of their day. 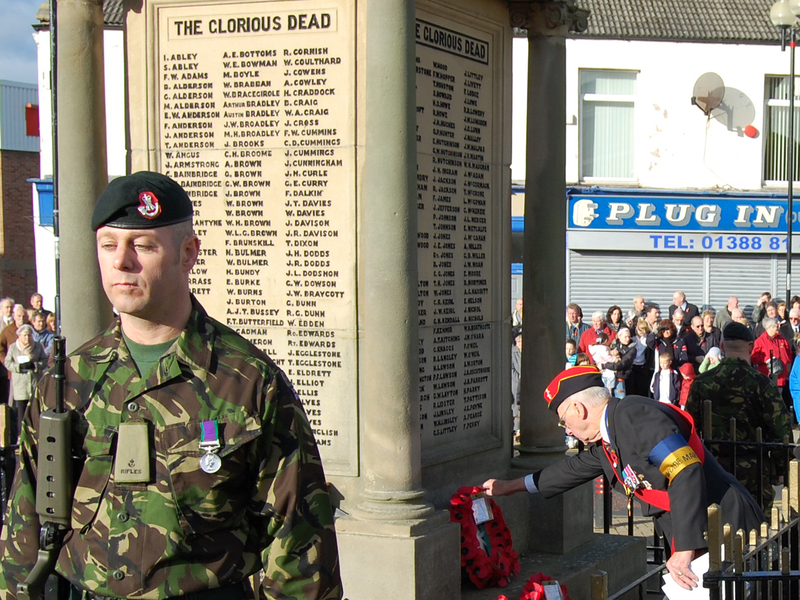 It was possibly this that led Eric to design, and help in the construction of, the War Memorial that stands in the town centre today, a poignant reminder of a town that gave of its finest young men and women in answer to the call of its country, and the focus of the town’s Remembrance Day ceremony each year.